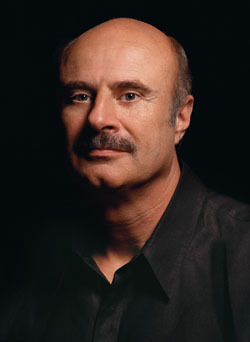 Dr. Phil McGraw has got be feeling just about as low as a pregnant snake’s belly right about now, for his 1957 Chevrolet Bel Air convertible has been stolen right out of the Los Angeles auto repair joint it had been at for, presumably, repairs. Since the darn car is worth somewhere northwards of a hundred grand, there is little reason to think that the good doc is not assessing how well his car collecting hobby is working out for himself. Meanwhile, Jay Leno has yet to comment on Dr. Phil’s stolen vehicle.